On the train, travelling home from London St Pancras on Friday, I had a very interesting conversation to pass the time, with two fellow passengers, also returning to Thanet. I'm sure that it comes as a surprise to many, on meeting a local councillor for the first time, that he's not out on license and can stand upright and chew gum at the same time. I'm definitely not in the first category but frequently struggle with the second. By the way, I have to confess that I had a serendipitous encounter with Boris at Paddington and quite forgot to say anything about his eccentric project for an estuary airport. I'm not sure it would have been tactful to have offered my opinion on the subject anyway. My fellow travellers, one from the South of the island and one from the North, in many ways confirmed what I know already and that is professional people are choosing to live here because it's a beautiful place to live, despite all the many problems we face as a community from time to time. Like everyone else, they wonder what people like me are going to do to try and make things better and I spent some time explaining what the challenges are. 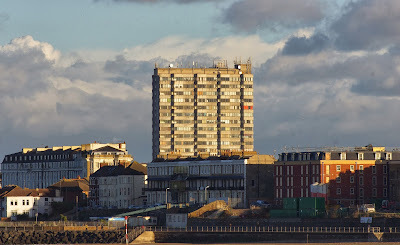 Of course, I've one pet argument that many readers will disagree with and that my belief that Thanet is still living in some dreadful eighties, tribal politics drama, where many local councillors and their supporters are involved. We can't move on because quite simply, a number of our elected representatives have a deficit in imagination, are unwilling to leave the past behind or the personal differences built-up over thirty years. Of course it's only 'a rumour' which was promptly denied but simply mentioning it does the job and lights the blue touch paper, cynically shifting the political argument in the planned direction of travel, as if we didn't have too many Red Herrings to distract us already, thanks to the frequent political antics of Ian Driver and John Worrow. With the next General Election and local elections now not so very far away, 2014 will be the time for all the political parties to look for people to stand as candidates in wards across the island. As a Conservative, in my own ward of Westgate, I will be looking for two new faces to contest Jodie Hibbert's and Tom King's seats and as the 'Deputy Chair Political' for North Thanet, many more new candidates across this side of the island. 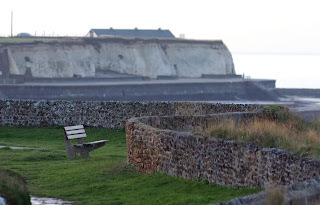 If any reader believes that he or she has the right stuff, the patience and the strength of character to join me in what is frequently a difficult and mostly thankless task; that of trying to make Thanet a better place through intelligent political change then please consider becoming a political candidate. The challenges may be frequent and tough but the personal sense of reward which come with helping those who need it most, can't be underestimated. Perhaps between us, we can make a difference and move the island, somewhat reluctantly in parts into the 21st century and recover some of the confidence that so many people have lost in what they view as the tired, often personal and embattled political process that prevails across local government today. Simon, I assume the 80's timewarp refers to your own party as well as the reds? "There have been suggestions that some Councillors have stated in public that they intend not to comply with the democratically agreed decisions of the Council, presumably in the full knowledge that there are no meaningful sanctions that can be taken against them. While the independent members of the Standards Committee have no doubt that these actions are taken with the noblest of intentions, it does make a mockery of the rules of the Council by which all Councillors are held to account and suggests that some Councillors, at least, are not prepared to comply with the Code of Conduct." whose behaviour and internal squabbles adversely affect the delivery of services, capital projects etc to the residents of the local district. I agree 100% with many of your points here. The tribal nature of 'us vs them' has become so embedded within the chambers at TDC that there seems to be very few discussions that dont end with a history lesson from Cllr Johnson, inevitably ending on how she was right. But why are the Conservatives not offering more opposition to the crazy decisions that are made by the current administration? To many observers, they feel - rightly or wrongly - that the Tories have something to hide. If they dont, why not speak up more? Duncan. I recall from every meeting that opposition has been firmly expressed. You only have to look at the video of the meeting where you were ejected. However, these invariably turn into a history lecture from Iris and it's a standing joke on both sides that meetings would be 20% shorter if she simply said nothing. As labour are supported by the rogue element in the Council, to keep their position, what the Conservatives say makes little or no difference and the 'Mad hatter's Tea Part' continues. Simon I cannot impress on you strongly enough that your comments sound like "we cannot do anything so why bother trying"
I say get your colleagues to work with the local groups and COMMUNICATE!!! The UKIP bandwagon does not roll totally at the expense of the Conservative party, for their message on immigration has as much appeal, if not more, in the traditional working class communities as in the chattering. Sure we all remember Gordon Brown's bigoted woman. We only have to look at the county council election results in Thanet, where UKIP won in both 'safe' Labour and 'safe' Conservative areas. I am not convinced this would be repeated in a general election, but they are capable of upsetting expected results in some areas. The worry has to be that UKIP let in Labour, for what we have now is not the New Labour of Tony Blair, but the old Labour of pre Kinnock times, still in hock to the unions. Of course, one should point out that Thanet Labour completely missed out on New Labour and has never escaped the dogma of the old order. Hence the history lessons. Much will depend on the economy, but Tory chances would have been much enhanced had David Cameron listened to his own party's members. Agree with William - UKIP will take votes from all sides of the house. They are seeking to 'turn back the clock' to 'ye goode ole days' An England for the English that is free from multi-culturalism and modern ways. This appeals to many that see the main political parties coming closer and closer to each other. Locally, I think the swing was also a signifier for something else. Change. Local perception is the Conservatives are all corrupt (with links to Ezekiel) and Labour are inept. But they all seem to be 'in it for themselves'. Unless this perception is changed we could see a dramatic change in Thanets political landscape. A purple isle. And who knows? Perhaps this could be what the Isle needs - removing the old guard and letting fresh blood try. And I fear that until someone makes the brave step of showing this change, the electorate will demand it. But people forget that nearly two years had passed with a new Cabinet.. Me included since Sandy and Roger L were sent packing. I changed everything in regard to the proper manner in dealing with developers. With a zero tolerance to personal relationships. Barry, I think you are missing the point a bit about opposition. A combination of the cabinet system, Labour's shouting down of opposition voices, the Iris lectures and the independents who tilt every division Labour's way make effective opposition extremely difficult. It suits Cllr Driver's purpose to portrait this image of being the voice of opposition yet he, along with Cllrs Worrow and Cohen, have kept Labour in power in Thanet. Perhaps if these so called independents acted more independently, the administration would have to pay a bit more regard to the opposition and try to work together. As it is, and as you know from attending meetings, it continues to be a circus with the clowns often provided from the independent benches. James, you need to stop trying to portray yourself as some kind of voice of the people. Just like Driver and Smithson, you represent nobody, and simply seek to try to feel important at the expense of the rest of the inhabitants of Thanet. Your support for the joke that is Driver, simply underlines that you have no real interest in how TDC is run, or representation of the people that live here, you merely seek to promote your own self serving agenda. Why not stand for election, then perhaps when you get as few votes as Driver did at KCC elections, you will finally see that you represent only the view of a TINY but noisy group of nimbys and whiners. If I was on TDC and had to deal with your constant whining, Michaels endless pointless whining mails letters and phone calls, Driver making a spectacle of himself, smnithson agitating to feel important, and the constant whining of anyone when any progress is even suggested in Thanet, I very much doubt I would be the epitome of good manners when dealing with such timewasting and irrelevant fools. To be perfectly honest, Thanet is in the state it's in because of the likes of smithson, James, Oldfield, Tongue, Pengelly and the rest of the nimby alliance. Finally TDC is starting to brush them aside, and move forward, and I hope that they continue to do so, and alter their public persona, whilst dismissing the usual suspects as the waste of time and effort they represent. And you speak for nobody but yourself. This report doesn't talk about anyone but the Council and it was written by people uninfluenced by Councillors or members of the public. Maybe Will Scobie needs to be given a chance. Barry, noticed that in your response to JH you completely overlooked my earlier reply to you. Whilst I take on board that you care about Ramsgate, I do feel you champion people who have done more than most, as I pointed out earlier, to keep a poor administration in power and reduce the chamber at times to a slanging emporium. 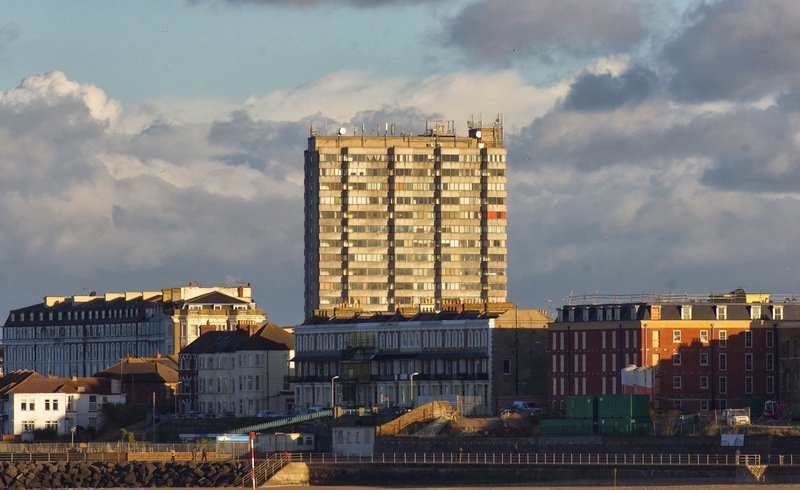 The Conservative Group at Thanet District Council welcomes and endorses the sentiments contained in the report of the Independent Members of the Standards Committee, ahead of the meeting on 21st November 2013. “A good start may be to agree to the live streaming and public filming of council meetings, which many of us have undertaken at KCC meetings without serious issue. The Conservative statement is encouraging and let's hope that changes proposed are implemented although why has it taken this long to address the issue of filming? It was only recently that the issue of filming was addressed in chambers and it seemed unanimous at the time from both sides that filming wouldn't be allowed without some sort of accreditation. Strange how a U-turn seems to be happening after the report was released.